As Seen in Our Feature on The Cooking Channel! Nothing says “slow Sunday morning” like a breakfast plate piled high with Strawberry Banana Peanut Butter Stuffed French Toast. 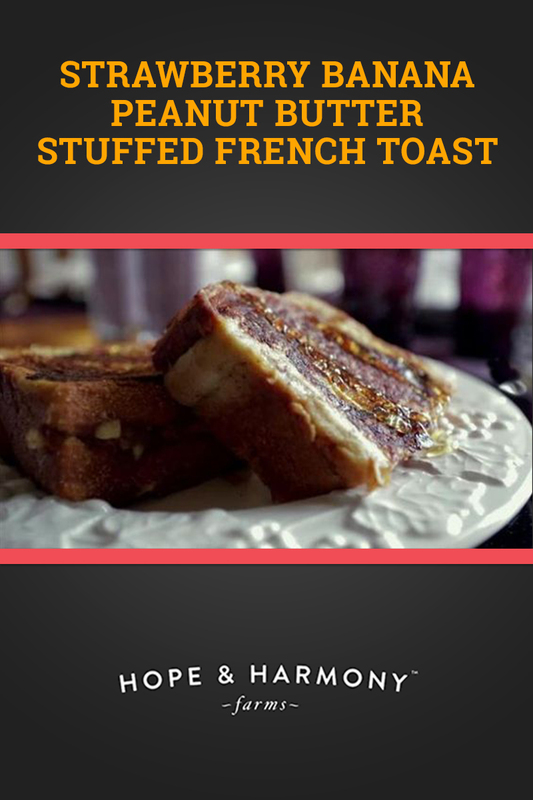 A delightful blend of sweet berries, protein-packed peanut butter, freshly-baked bread, and warm maple syrup come together in holy breakfast matrimony to bring you a true farm-to-table french toast recipe. 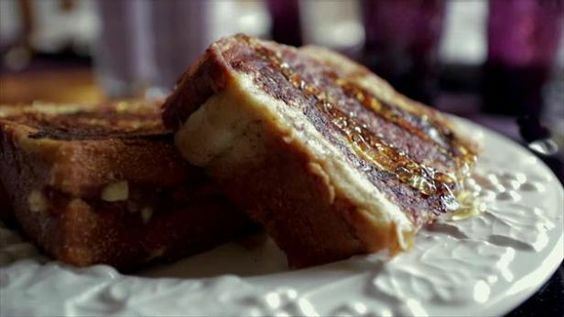 As seen on our Cooking Channel feature with G. Garvin, our Strawberry Banana French Toast hits the sweet spot for breakfast, brunch, or dinner. Happy cooking! Using a serrated knife, cut a horizontal pocket in each bread slice; cutting close to the edges while leaving the crusts intact. Be careful not to cut holes in the bread. Mash the banana in a small bowl using a fork, and then slowly fold in the strawberries and peanut butter. Stuff each piece of bread with the strawberry-banana mixture using a spoon. Don’t let the stuffing overflow the pocket! Lightly beat the egg whites and whole egg together in a shallow bowl and whisk in the milk, sugar, cinnamon and salt. Dip the stuffed bread slices into the egg mixture and let them soak, turning occasionally, until the liquid is absorbed; approximately 10 minutes. Melt the butter in a large cast-iron or nonstick skillet over medium heat. Toast the bread in the hot pan until cooked through, about 3 minutes per side. Serve topped with warm honey, pure maple syrup or jam.